Ripcord was the only member of the G.I. Joes strikeforce that had romantic ties with a civilian. His romance was short lived (as newer characters were rapidly introduced to the series), and had a tragic ending. Real Name: Wallace A. Weems. Height: 6’0″ Weight: 170 lbs. Like most members of the G.I. 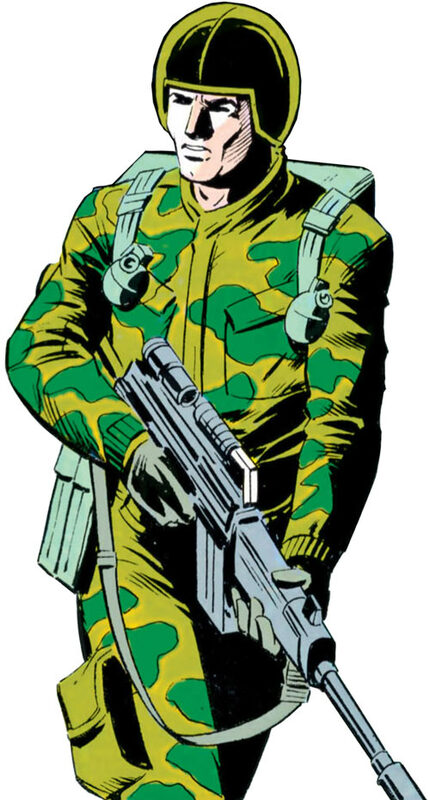 Joe strikeforce, Ripcord is an exceptional soldier. He has received extensive training in Advanced Infantry, Demolitions, Mountaineering and Reconnaissance. However, his primary military specialty is HALO jumping and airborne infantry. 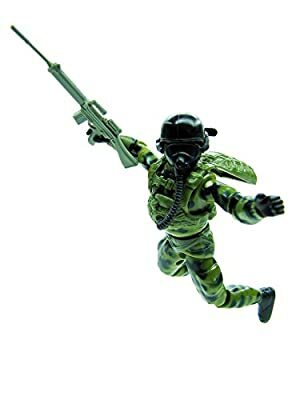 Ripcord generally arms himself with a FN FAL (French: Fusil Automatique Léger, English: Light Automatic Rifle), a M1911A1 Auto Pistol and a pack of shaped charges. 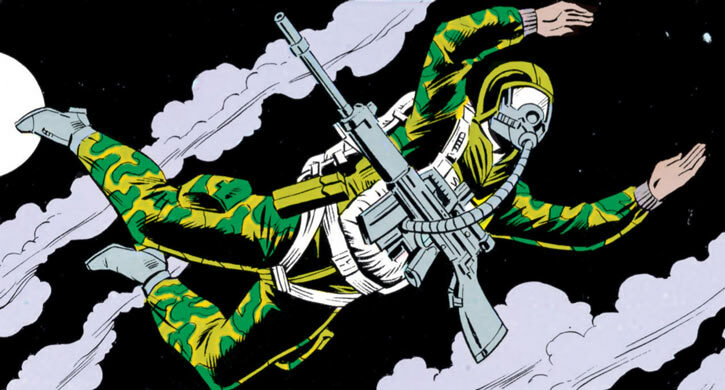 Ripcord was assigned to the G.I. Joe as Grunt’s replacement. 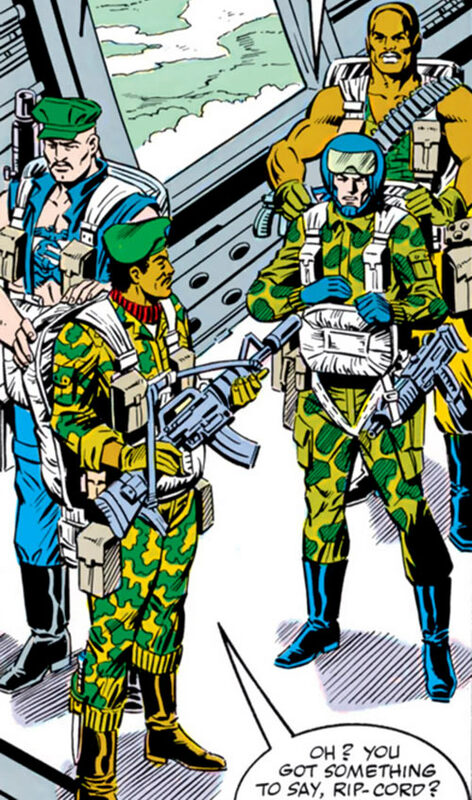 His assignment caused friction with the older Joes but he found allies in a number of the newer recruits. When Spirit desired natural medicines to treat his wounds, Ripcord offered to take him off-base to acquire it. In the process, Ripcord ran afowl of a Crimson Guardsman and his family. While pursuing the Guardsman, Ripcord and the Joes commandeered a van from an entertainer called Bongo the Balloon Bear. As fate would have it, Bongo turned out to be a beautiful young woman named Candy. The two were instantly attracted to one another, and started to date. However, their relationship was unable to progress very far due to Ripcord’s identity being classified. 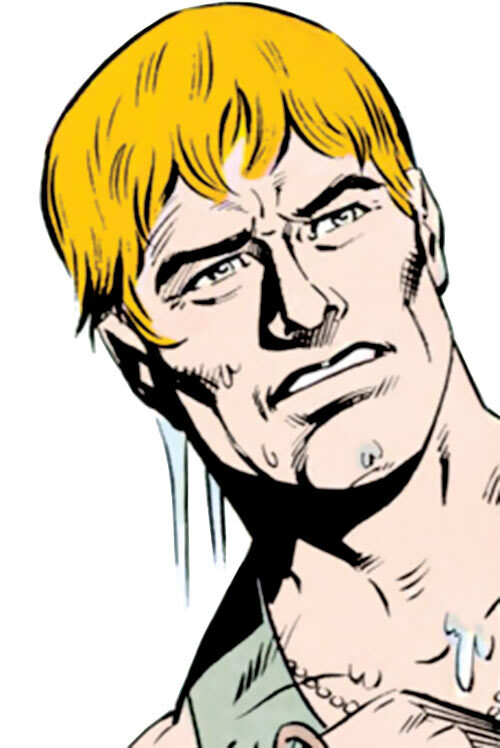 Ripcord’s refusal to tell Candy the whole truth of his job and identity caused her to end their relationship. Soon thereafter, Candy was taken into custody by the Joes while Ripcord was on a mission. As coincidence had it, Candy’s father was a high ranking member of Cobra. The Joes suspected that Candy had dated Ripcord in order to further his plans. Candy remained in the Joes custody for a short time. One of the Joes’ other prisoners, Buzzer, broke out of his cell and took her along as a hostage. When Ripcord returned and discovered Candy’s disappearance, he decided to take matters into his own hands. He arranged to be on a standard reconnaissance flight over Cobra Island. When he was over the island, Ripcord ejected from the plane without authorization and attempted to infiltrate Cobra Headquarters. Despite his attempt at stealth, his actions were immediately discovered by the Cobra forces and Zartan set out to intercept him. The two fought a cat and mouse battle by moonlight. Ripcord came out on the short end and was subdued by Zartan. While the two fought, Snake-Eyes and Storm Shadow invaded Cobra Island seeking to kill Zartan. Zartan, realizing the opportunity he had, switched places with Ripcord and was “rescued” by the Joes. Ripcord (now disguised as Zartan) was recovered by Cobra soldiers. He was taken into the Cobra base where Storm Shadow tried to kill him. He barely escaped with his life thanks to the help of Candy’s father. Candy’s father helped Ripcord escape with the hope that he would find and save Candy’s life. By the time he regained consciousness, Ripcord had been transported to Cobra’s secret headquarters in Springfield. Upon waking he continued his charade as Zartan. In Springfield, he made two discoveries. The first was that Buzzer’s kidnapping of Candy had eventually ended with her death. The second was the location of Springfield itself. He then contacted the Joes and gave them Springfield’s location. The Joes managed to rescue Ripcord during their assault on Springfield, but not before being tortured. After his rescue, Ripcord went on an extended leave from the team to grieve for Candy’s death. Ripcord is an average looking Caucasian male. He has a trim athletic build, reddish brown hair and bright blue eyes. When not in dress uniform, Ripcord dresses in camouflage fatigues made up of various shades of green. Ripcord has the personality one would expect from a typical soldier. Though he is impetuous, Ripcord’s loyalty, bravery and competence cannot be questioned. Yet, should the need arise, he will quickly abandon the rule book. Whether it is going AWOL or murder, Ripcord will do what he deems necessary to achieve his goal. Expertise (Military equipment and protocols), Rank (Corporal), Scholar (HALO Diving). Assault Rifle [BODY 04, Projectile weapons: 06, Ammo: 08, R#02. Advantage : Autofire]. Combat knife [BODY 09 , EV 03 (05 w/STR)]. Parachute [BODY 02, Gliding: 02, R#02]. 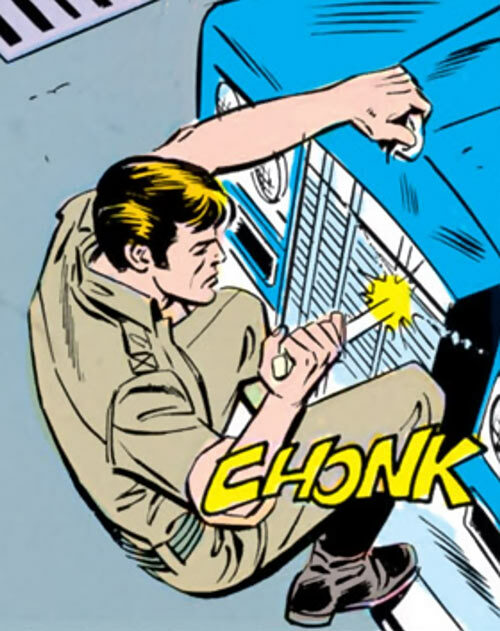 Source of Character: Marvel Comics Series – G.I. 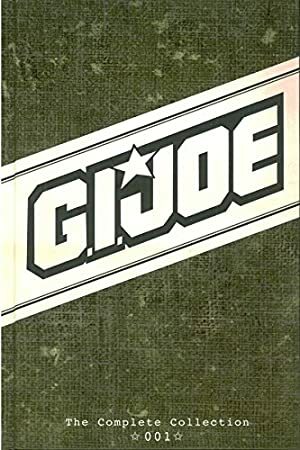 Joe: A Real American Hero, written by Larry Hama and illustrated by Herb Trimpe. Writeup completed on the 9th of July, 2017.